Even the smallest and simplest relocations can quickly become nightmarish jobs which consume vast amount of time, energy and money. You can avoid this from occurring by contacting us and booking our Forest Hill man and a van services. We are insured and seasoned movers and we have the necessary technical capacity and knowledge to perfectly organise and carry out your property removal from start to end. After all it is not by chance that we are famed as the most competent and capable van removal company in Forest Hill, SE23. We maintain a large variety of different moving services which will certainly cover all your needs and help you go through a stress-free, swift and hassle-free residential or business relocation. Our Forest Hill man with van services are tailored to match in full the highest standards of the removal industry, so you can rest assured that by choosing to work with us you are deciding to benefit from world class moving options. We have a fleet of new and clean moving vans and trucks with which we will haul your belongings from point A to point B. The cabins of our vehicle are equipped with the latest and most accurate GPS systems while the cargo sections are fitted with specialised harnesses which keep the moved items from shifting during transit and therefore prevent transport related accidents. Keep in mind that you can rent out our Lorries and Lutons against affordable rental fees. Know that you don’t need prior reservation to boon one or several of our storage units. You can acquire further information about our man and van company in Forest Hill, SE23 and our storage and removal services by exploring in full our website. Don’t be shy to contact our consultants if you wish to ask us any questions or request a personalised and final moving quote. Rely on Atlas Man and Van’s professional packing services in Forest Hill SE23 and no scratch will ever spoil the condition of your items. We employ trained and vetted packers in SE23 Forest Hill who are capable of quickly packing all sorts of furniture and personal possessions, including oddly-shaped decorations and delicate works of art. Our dedicated team of friendly packers will bring packing supplies with them. The materials we use are professional and exceptionally durable and the service itself is available at a low cost. We will offer you personalised packing solutions and estimate the final price in a fair way. 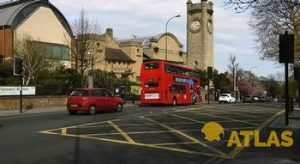 We have seated our removal firm in the London suburb of Forest Hill, SE23, in the southern parts of the city. The area is located in the Borough of Lewisham and has an estimate of 15.000 residents. It is home to several top tier educational facilities including Perrymount School, Forest Hill School and Sydenham School. The district is served by its own railway station which was established in 1839 and sits on the East London Line from the London Overground and the Caterham Line from the National Rail Network. With is many open spaces, pretty houses and outstanding schools, Forest Hill is one incredibly attractive area for families. What is more, SE23 has is home to a major landmark – the Horniman Museum and Gardens. Visitors of the museum can see exhibitions focusing on anything from music to natural history.